Tips for rainy driving – Motorful offers our readers a few suggestions that will promote safer driving when in wet weather. When it is storming outside, it can be more difficult for you to see other vehicles, the road, and even to read road signs. It is crucial to ensure that you can see as well as be seen. First things first – SLOW DOWN! When you are driving in wet conditions, it takes a bit longer to adjust your speed or to stop. Make sure you are at the right distance when you are behind another vehicle. In dry conditions, you should follow the 3-second rule. It inclement weather, this needs to be increased. Stay close to the middle lanes when possible because of water pools on the sides of the roads. Try not to get to close behind buses or large trucks. Their large tires create back spray which can limit your vision. If you have to pass them, make sure you do it safely and quickly. Try to drive only in the tracks left by the car that is ahead of you. Try not to use your brakes too much. When it is possible, simply lift your foot from your accelerator when you need to reduce your speed. Be as alert as possible when you drive in inclement weather. Make sure that you are always on the lookout for brake lights ahead of you. 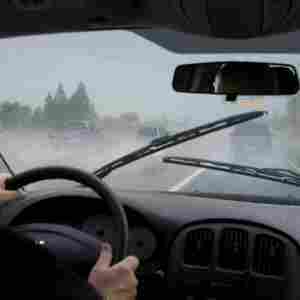 If you know your windshield wipers need to be replaced, do it before it rains again. Turn on your headlights even when it is just drizzling, or when it is overcast, foggy, or gloomy. They assist you in seeing the road, but they also make it easier for other drivers to be able to see you. NEVER drive past the limits of what you can see. If you are driving at night, wet roads can be incredibly dangerous. 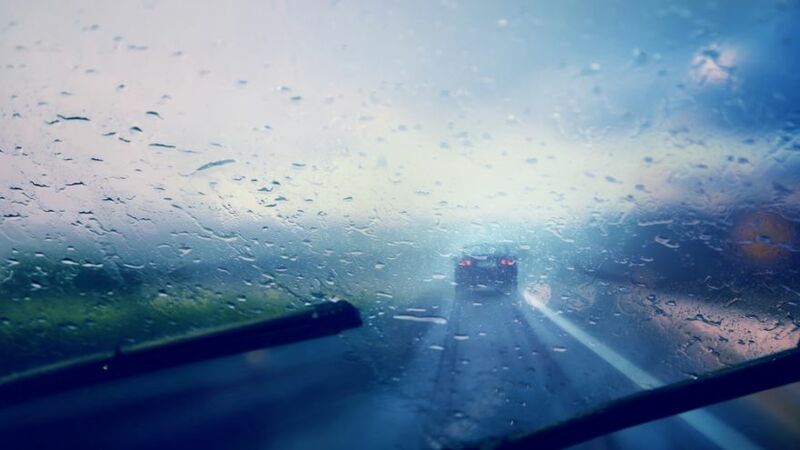 The glare of lights coming towards you is amplified by the rain, and this can cause a temporary loss of your ability to see while it also increases eye fatigue. Avoid driving off the road, it can be difficult to tell how deep puddles are and if you drive in one, it is easy to become stuck, even when you are in a large SUV. If you have to drive through a puddle, go slowly. If the water depth reaches your doors, you need to turn your vehicle around and find another way to get where you are going. 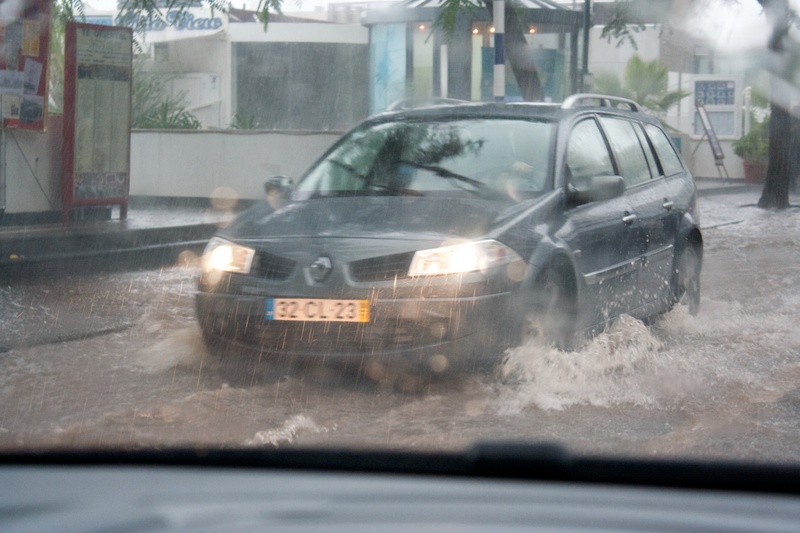 Water that is deep can cause quite a bit of mayhem with the electrical system in a vehicle. If there is moving water ahead of you and you can’t see the bottom, avoid it. Your vehicle might be swept right off the road. When possible, you should just stay off the roads during thunderstorms. Between the lightning flashing and the wind and rain, driving conditions can be deadly. SLOW DOWN!!! You know, this point should be one that is quite obvious, but it is also critical to your well-being, those in a vehicle with you, and those you are sharing the road with. People get used to driving at certain speeds on roads they are familiar with and sometimes, this means that they forget that they should slow down when it rains or snows. Before you leave – Driving in wet weather means that you need to be gentle with all of the main controls. This includes the accelerator, brake, clutch, and steering. You also need to give yourself a larger allowance for things like emergencies and errors. When you start to drive in the rain, remember that even your shoes are wet when you get in the car and this can lead to your foot sliding off the pedals. To avoid this, scuff the soles of your shoes on the carpeting or rubber mat in the floorboard before you turn the vehicle on. Also, everyone should check things like turn signals, brake lights, tail lights, and headlights on a regular basis to ensure they work properly. Check your tires – Make sure that you check your tires regularly. Tires that are bald will have significantly reduced traction when the roads are wet, and this means there is a greater chance of hydroplaning. When the tires go over water, that water gets displaced and it does so rather quickly. The best place for that water to go is right between the treads in your tires. When tires are bald, this water doesn’t have anywhere to go, and you can end up riding over a layer of water, just like a boat. 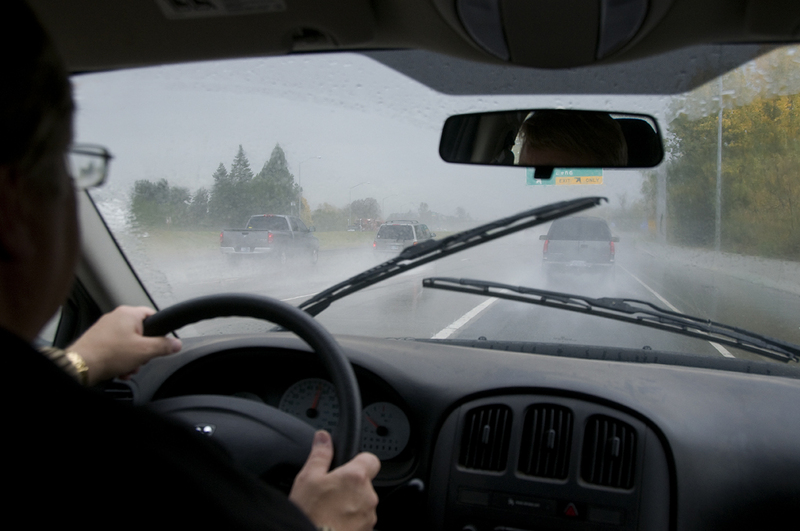 Turn the wipers on – Your windshield wipers need to be replaced on a regular basis. You should do this a minimum of one time a year. Wiper blades that are not in good condition are not able to clean the water from your windshield very well and this can lead to your view being distorted. Vehicles that are older might even need to replace the entire wiper arm. This arm can bend as time passes and this can lead to it not having enough downward pressure to clean the windshield well, even when you install new wiper blades. 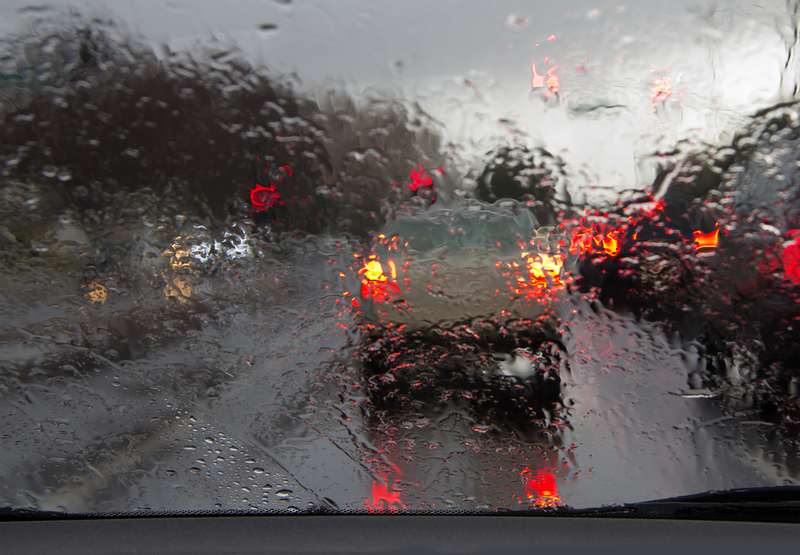 Turn the lights on – When there is rain or poor visibility, turning your headlights on is another great way to let the other drivers on the road know that you are there. Keep in mind that everyone else on the road also has poor visibility. You might be able to see cars that don’t have their headlights turned on, but their windshield wipers or vision might not be as good as yours. Most states require your headlights to be on when visibility is less than 500 feet or when it is raining. 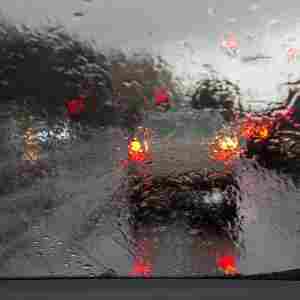 Heavy rain – When you are driving in heavy rain, your wiper blades can be overloaded, and this is what allows a sheet of water to be on your windshield. When this limits the visibility to the point where you can’t see the lines or edges of the road, or other vehicles too well, the safest thing to do is to pull over to the side of the road and wait for the weather to clear up a bit. When possible, stop at a protected area or a rest area. Make sure your headlights are still on and use your emergency flashers to give other drivers the best chance of seeing you and not crashing into you. If you have the youngins with you make sure they are properly secured. Foggy windows – High humidity and rain can cause the windows in your car to fog up. 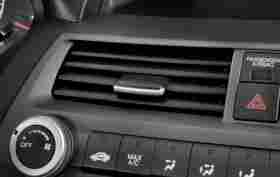 If your car has a working a/c system, turn the heat on and direct the flow of air to the defrosters. If you don’t have an a/c in your vehicle, you might need to open the windows a bit to get the air moving. If this isn’t working or possible without getting soaked, use a rag or a piece of clothing to clean of the windows. Driving on the interstate – Leave a lot of space between the car in front of you and your car because wet weather means that it is more difficult to stop. In dry weather, you should leave at least 3 seconds between cars. Be sure that you add a bit more space when it is wet because if you need to hit your brakes quickly, the tires might lock up, you can then hydroplane, and end up hitting the vehicle that is in front of you. If you have the option, drive in the far-left lane because typically there are fewer vehicles there and therefore, less oil that has gotten onto the road. Also, due to the slope that is built into the roads, the water tends to drain to the right. Try to avoid changing lanes because water can build up in the ruts left by tires in the lanes. Skidding – When you lose control of your vehicle in wet conditions, it can be frightening. You can keep this from happening by driving carefully and slowly, especially when rounding curves. Lightly hit the brake before you go into the curve. Brake and steer with a very light touch. When you get into a skid, try to stay calm, remove your foot from the gas, and carefully steer the car to where you want the front of the car to be. This is called driving into the skid and it will bring the rear of your vehicle back into line with the front of it. If your car doesn’t have anti-lock brakes, try not to use your brakes. For cars that do have ABS, you should firmly brake during the skid. Oily deposits – Be careful in intersections due to the spots of oil in the road. 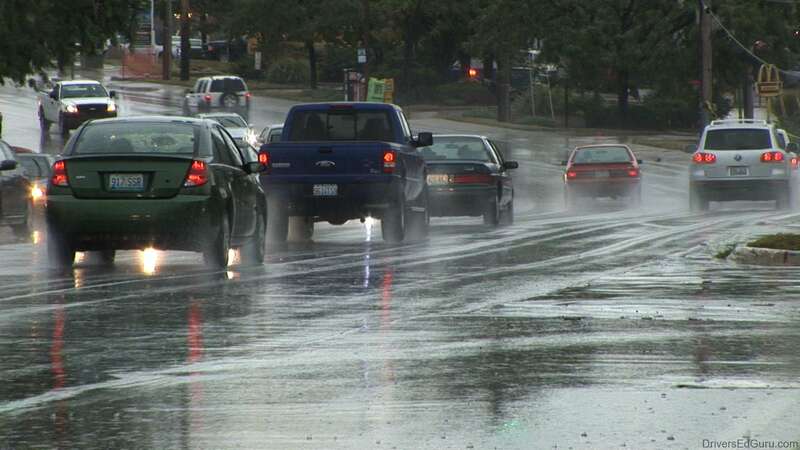 Rain can be the most dangerous after long dry spells because the roads have gotten smooth and polished. The rain can mix with the oil and the deposit of rubber dust on the surface of the road to create a skid mixture that is incredibly dangerous. That mixture can build up at any intersection where the cars can start and stop frequently. Be even more careful right after the rain begins because it can take a while to wash most of the oil and dust off the road. Stalling in deep water – If at all possible, when you stall out in water, get someone to tow your car out with either a cable winch or a tow rope. If you have a manual transmission, you might be able to drive yourself out using your starter motor. Make this a bit easier by taking out the spark plugs, which will lower the compression, and this makes the starter motor turn over more easily. Be very careful that you don’t get water in the cylinders because this can easily hydro-lock the engine and ruin it. Use this method only as a last resort because of this danger. 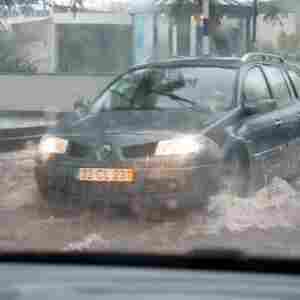 Check the brakes – If you make it past an area where you had to pass through deep water, check the brakes. They might have gotten saturated. If this happens, drive slowly and brake lightly simultaneously to generate enough heat so that the brakes can dry out. Before you start to speed up again, make sure that the pull evenly for each of the wheels. The bottom line here is to proceed with caution when you are driving in wet conditions. Aside from looking out for yourself, you also need to watch out for everyone else on the road.